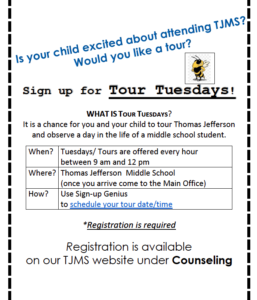 The Thomas Jefferson Middle School counselors provide a data-driven, comprehensive school counseling program to help all students strengthen their skills, talents and abilities to become active members of the global community. School Counselors partner with staff, parents/guardians and community members to support the academic, career and personal-social needs of the whole child. 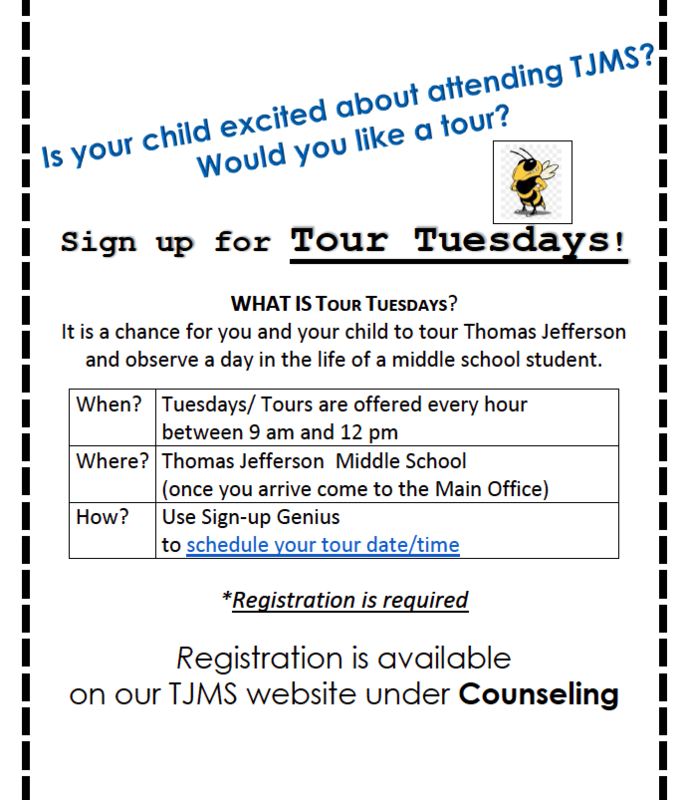 Rising 6th grade families for the 2019-20 school year, sign up to take a 20 minute tour of Thomas Jefferson Middle School. Tours are offered each Tuesday until the end of March. Registration is required.